Vinyl decals are creative designs which are transformed into attractive products. This design product can be visualized anywhere for examples in cards, walls, windows, car and anywhere you can name it. Many people have the perception that it is difficult and impossible to make vinyl decals at home which isn’t true. It is actually pretty simple. 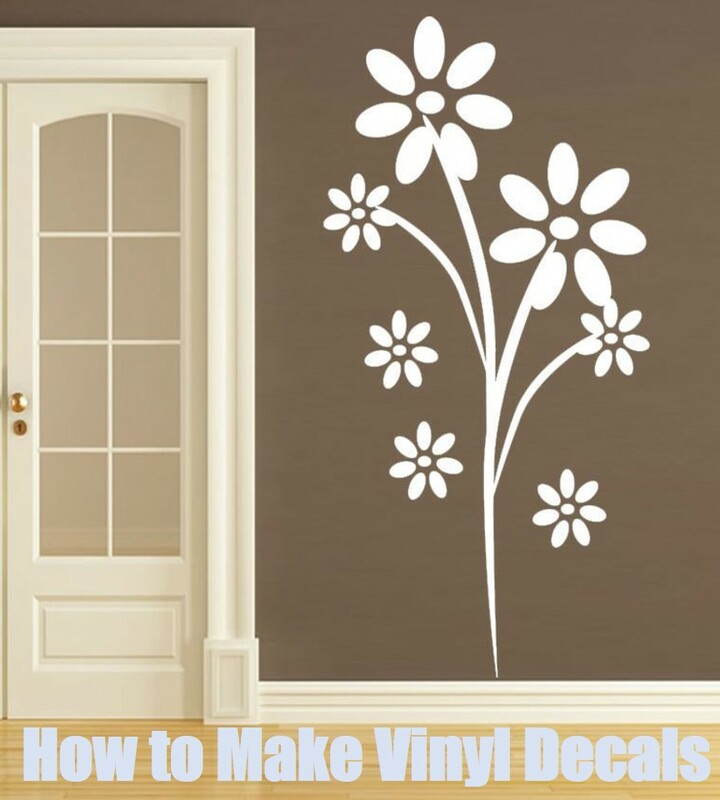 Here are simple steps on how to make vinyl decals at home. Computer for drawing and designing. Board to apply your decal and clip art and weeding blades. It is simple to make vinyl decals at home by hand but many people have the perception that making one is a bit complex and require a special machine which is not true. You only need the above materials and follow the following procedures. This is the first step in creating the decals. You must have an idea of what you want to do. Try to interpret your idea on a paper or computer and make it clear. There are several software(Sure Cuts A Lot 5, Easy Cut Studio)which can help you come up with such great design. You can get ideas from different platforms such as magazines, websites and come up with a good idea. A quality design will result in great work. This design will be used as templates. Make sure you have the right measurement and size that will correspond to your target idea. Corel Draw and Adobe are great designing software that can help you come up with a mouthwatering design. It helps improve your design in all aspects. The design should not be so complex but simple and reflects high creativity and innovation. Keep in mind that, it is impossible to cut gradient in reality but the design should reflect the gradient. Great design result in great work. The simple structured idea well visualized will lead to a quality design which will give quality vinyl decals that will impress. Pay attention to details and master this simple trick. This is the next step in the procedure. At this point, cut a slightly bigger piece of the design that you either draw or print and place it ready for cutting. Make sure the cutting table is clear and clean to avoid unnecessary mix-up. Tape the cut pieces of vinyl on the cutting table to fix or minimize the problem of moving paper. Ensure the tape does not fully fix or rub the piece since it will be removed after the exercise. Cut the empty edges and remove from the piece. Make sure you only have the necessary template remaining on the table before you start cutting the vinyl. Gently remove the templates from the cutting tables ready for cutting and trimming. Cut and remove the extra unnecessary points on your vinyl. Select the useful parts of your vinyl ready for proper cutting. This is the most complex step in the procedure. If you mess at this point you will have messed the whole project. At this point take your time and relax before proceeding with the actual process. It is a bit difficult to cut and trim small decals than big decals for obvious reasons. You are allowed to cut at your pace but you must provide the results. You can cut straight edges first then concentrate on complex sides later. The most recommended strategy is to cut the inner parts of the design first then the outer later. The complexity of the cutting depends on the design you want to come up with, for example, a logo can be a problem to cut as compared to just alphabetical letters. During cutting you are recommended to leave a reasonable allowance for trimming and error-cutting. It is necessary to follow all the details with the whole design picture in mind to attain the required goals. Remove all the gaps in the cut piece and you will likely see decals design a bit more clear. You will possibly see asymmetric lines that will guide the process if it is weeding, shading or folding. You will only need to be careful to trim these lines correctly to fit your design. If a mistake is not corrected in those lines your final decal will not be perfect for the design idea. It is possible to correct all the errors here before you pick the template but if not you can still correct them while picking it and transferring. After the cut is made, the next step in to pick or remove the unwanted parts of the decals. You can decide to remove the unwanted part of the piece and leave the decals or you can decide the opposite. Tweezers are very useful for the removal of cut pieces at this point. If proper cutting was done the removal will be pretty simple. You will be required to cut the cut lines into petitions for complex designs and logo to remove it easily. A simple design is easy to deal with, the borders can still be cut into sections to facilitate perfect and easy removal of the required or the negative parts depending on what you want to remain in the cutting table. After the removal of the negative parts, use tweezers to help in removing the decals designs. Grab the corners of your design which are easier to remove and use tweezers to help remove the tape and avoid damaging the design. Focus on the bigger picture of your decals. Ensure you have all the design(s). Trim and make your decals perfect after you remove from the cutting table. Ensure the picked designs are perfect shapes as per your idea. Transferring your crafts can be tricky at times, if not carefully done the whole process and design will be messed up. For easy transfer, you need transfer tape to avoid distortion of your crafts. Static forces should be avoided as it can distract the process. Carefully attach the transfer tape on your crafts from one end to the end. As you taped it follow it by your finger to avoid wrinkles. If it is not well done, the bubbles can be hard to fix and it will distract the final outcome. It is easy to fix the large pieces of the craft as compared to small pieces. Ensure the trim is on the overlapping tape and leave about an inch allowance for easy decal placement later and transfer. Make the vinyl perfect as you can, since the next step will not allow adjustment but just to apply what is produced in this step. This is a crucial step that will portray the energy used and the creativity of the designer. Ensure the surface to be applied is clean. Place your decals on the surface as you keep an eye on the overlapping tape edge since you will need it. Mark some parts to guide you. The overlap tap should firmly hold it in place. You can apply some glue if necessary to make sure your decal is safely placed as you unmasked it. After properly placing it on the surface, remove the backing off gently. Observe all the small details to minimize errors as small errors at this point can damage all the above energy. Make sure your decals stick well to the surface before removing the backing off by gently pressing it against the surface. While you remove the backing off rub the pieces to reduce the air bubbles as you roll down you backing off. Removing air bubbles on large decals can be tricky but the best way is to hold it firmly during application. You can apply some sprays on the surface before sticking your decals without adhesive. This will help in reducing air bubbles and your decals will perfectly hug the surface well. The final step is to rub your decals smoothly on the surface severally to ensure all the air is removed and the decals stick well on the surface. Your decals are ready. You can apply the above procedure for commercial or personal purposes. Vinyl decals are beautiful if well design. As per the above procedure, it is simple and cheap to make decals provided you conceptualized and be able to interpret your idea. Creativity is the key to getting unique quality decals. Technological developments have helped boost this sector. 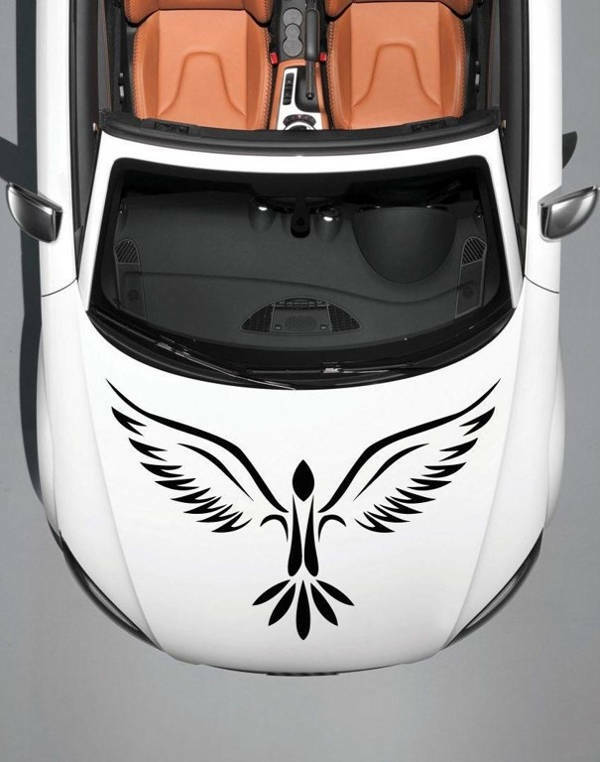 Some design software have made it so simple to design and create quality eye-catching decals. New invention such as the spraying of the surface and not using adhesive is the new trend in this field. Making decals can be easy and enjoyable. You only need patience and creativity to succeed. Follow the above steps and you will get the results.